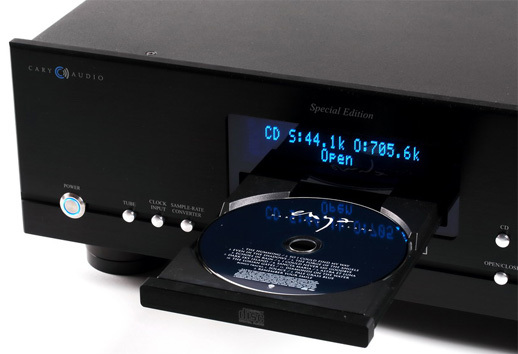 he DMC-600SE is a Compact Disc player with digital inputs and a Bluetooth connection. The Cary Audio company calls it a “Digital Music Center” (hence the DMC in the name). Looking at its functional possibilities, we can say that the company is right – it is some kind of a hub, an integrated digital source. The only thing that could be added to its capabilities is the possibility to play files (see Mark Levinson No. 519 Audio Player; in Polish). However, this means compromise that is really expensive to overcome. 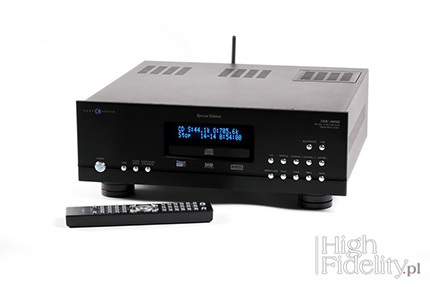 For those who would like to obtain a complete Cary Audio digital sound source, the company also offers the DMS-500 file player (“streamer”). The Cary Audio company that was established in 1989 is a firm focused on electron tubes. However, it noticed market changes at the right time. That is why it included home cinema devices (amplifiers and processors) in its offer some time ago and now it offers the abovementioned streamer and a broad range of digital-to-analog converters, a headphone amplifier and the latest novelty – the all-in-one AIOS system. The DMC-600SE is the company’s most expensive sound source and, at the same time, one of its most expensive products. As it costs almost 35,000 PLN, it is not cheap, but it is also impossible to say that it is especially expensive for a high-end product – an extremely solid device packed with different functions, constituting an almost complete sound source. What is more, the functions I am talking about are really useful and help us adjust the player to our system and sonic requirements. It is large, heavy and very well-designed. Its users are aware they have invested their money well and sure that they needn’t worry about anything, but can just listen to music. The player’s primary function is to play CDs using a CD-ROM transport that reads tracks a bit longer but instantly jumps to each subsequent one. Track and settings information (without CD-Text) is displayed on a large clear display with three lines with a blue filter. There are quite a lot of buttons next to it and one can see that the company wanted to double as many functions as possible both here and on the remote control. As I have mentioned, it is not only a CD player, but also a DAC. A user can connect an external source to it, using the AES/EBU, coaxial (RCA), optical (TOSLink) and USB inputs. 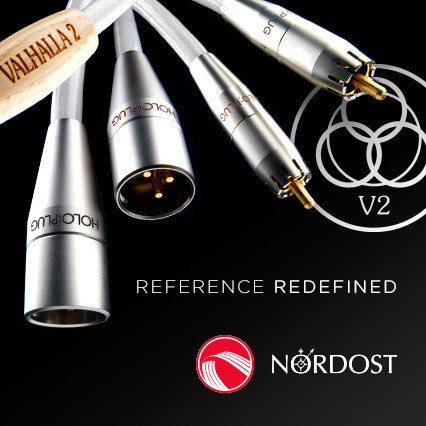 The first three of these inputs accept digital signal from 16 to 24 bit and from 44.1 to 192 kHz. PCM signal up to 32 bit and 384 kHz, and DSD signal to DSD256 can be sent through the USB input. One of the most important features of the player is the presence of a Bluetooth receiver functioning in the aptX system, through which one can send CD quality signal without compression. So, one can buy a Tidal subscription and stream signal from a smartphone or tablet. Signal from CDs and all digital inputs except for USB can be improved through upsampling. Such operations have been known for years and integrated circuits with upsamplers are very popular. Most frequently, signal is upsampled to 24/192 PCM (see Audionet Planck), but equally often to DSD (see dCS Rossini). The Cary Audio company has chosen upsampling to PCM, but in the highest form I have seen so far, i.e. 768 kHz. However, one can also choose one of medium values, both when it comes to asynchronous upsampling (48, 96 and 192 kHz) and synchronous upsampling (88.2 kHz, etc.). It is not only the frequency that is changed, but also word length, to 32 bit. The Cary Audio company has treated this function really seriously. The upsampler looks like it can be programmed by the user or “on request” and is called the TruBit Upsampling. An adequate algorithm is included in a 128-bit DSP circuit. Effort has also been made to make input signal as stable as possible, so it is reclocked before it reaches the upsampler. What is interesting, signal from the USB input does not undergo upsampling. However, reclocking also takes place there. This operation was also individually developed and is called OSO Reclocking (OSO = Onboard Signal Origination). If this is not enough, one can connect an external clock to the player (like, for example, in dCS devices). The DMC-600SE has two separate converter paths and two separate output circuits. The D/A section includes circuits made by the Japanese AKM company – the balanced section (XLR outputs) has the four-channel AK4495EQ model and the unbalanced section (RCA outputs) – the AK4490EQ model. Thanks to this, both outputs work independently, in optimum conditions. As I am saying, there are also two analog outputs – a transistor and a tube one. The latter is not an ordinary buffer, but a completely separate output circuit with filters, amplification and buffering. Two 12AU7 tubes are used in it. The company has called this solution the DiO Analog Stage (DiO = Dual Independent Output). Finally, there was a function that I did not use but that may prove to be a good solution in some systems – the player has an adjustable output and a high level of output voltage, thanks to which it can be used to directly control the power amp. 0 dB level on the display means 2 V RMS on the output (a CD standard), but it can be increased to +8 dB, i.e. 3 V RMS on the output. However, it is worth knowing that output signal level adjustment takes place in converters, i.e. in the digital domain. I also have a few additional final remarks. The Special Edition version has different (better) components than the basic version, as well as an input and output for an external clock. Both versions have all the basic functions. Both are equally solid, made of thick steel plates and an aluminum front panel. The devices stand on special anti-vibration aluminum feet – large spikes and pads. The latter can later be replaced with Franc Audio Accessories feet, for example. The user manual is very detailed and provides all the necessary information, explaining the technologies used and giving design details. The manufacturer’s website is just as helpful. The Cary Audio player was placed on the upper shelf of the Finite Elemente Pagode Edition rack on its own feet, without additional pads. I usually use anti-vibration feet under devices, but it was not necessary this time as the player has its own ones. It was powered by the Harmonix X-DC350M2R Improved-Version cable, while signal from RCA outputs (my system performs better in an unbalanced path) was transferred using the Crystal Cable Absolute Dream interconnects. The remaining elements of the path are already known – the Ayon Audio Spheris III preamplifier, the Soulution 710 power amplifier and the Harbeth 40.1 loudspeakers. The device was compared to three CD players: the Métronome Technologie Kalista, the Audionet Planck and the Ancient Audio Lektor AIR V-edition. While listening to its USB input, I used the Innuos ZENith MkII Std. file player (server) that we are going to test next month, with the USB Curious cable. I checked the Bluetooth connection using the Samsung Core smartphone.